I am no longer a full-time photojournalist, but the instinct to cover history compelled me to document some aspect of Barack Obama's inauguration. Local students and community members celebrated the swearing in of Barack Obama as the first African-American President of the United States. 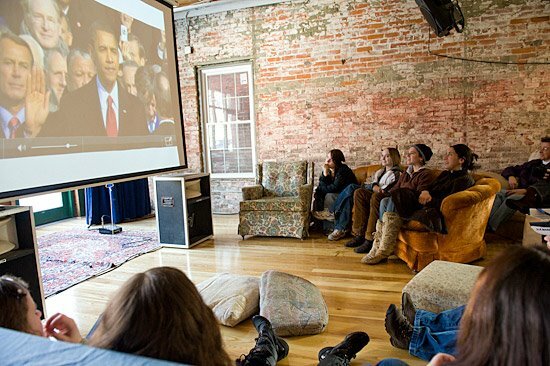 They watched the inauguration ceremonies at the Brick House Community Resource Center, in Turners Falls, Massachusetts. 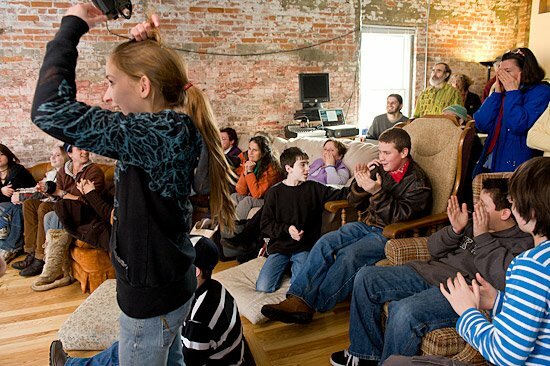 I have covered hundreds of events over the years, donning a thick-skin shield in order do my job without being swayed by the emotional reality of my subjects. Today, I questioned my journalistic commitment, wishing I could have been fully present in the moment, rather than mechanically documenting it.